The Renaissance Singers are one of the leading choral ensembles in the region. 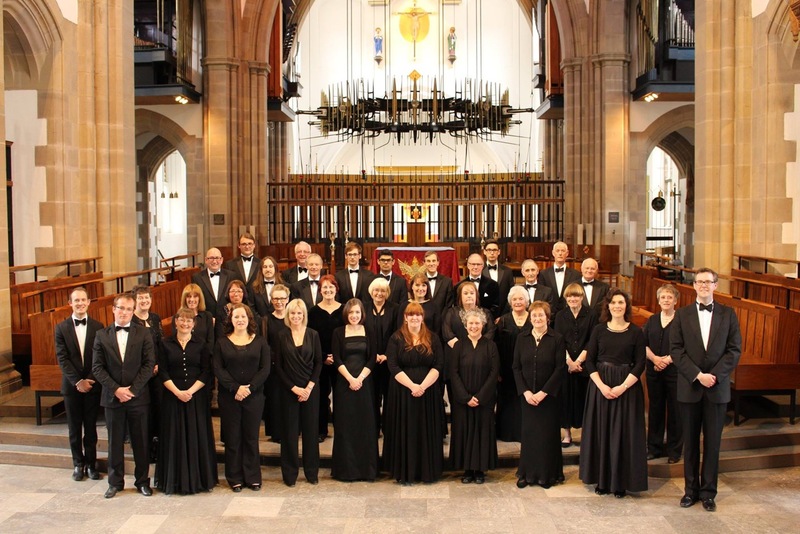 The group give a varied annual programme of concerts each year at Blackburn Cathedral (where they are based), and also take part in a number of services there throughout the church year. The choir is also delighted to be invited to sing at other venues both in Lancashire and further afield, and has taken part in a number of CD recordings. Furthermore, the choir broadcasts regularly for the BBC, and has appeared on Radio 2 and BBC 1’s Songs of Praise in recent years. The choir's repertoire is broad, including sacred and secular choral music spanning five centuries. Each season the programmes range from small-scale unaccompanied works to performances with orchestra. Samuel Hudson is the current Director of the Renaissance Singers. He took up the post of Director of Music at Blackburn Cathedral in September 2011, where he leads one of the country’s most ambitious Cathedral Music programmes. Before coming to Blackburn, Samuel simultaneously held posts as Director of Chapel Music at Girton College in Cambridge, College Organist at Haileybury School in Hertfordshire, Assistant Organist at St Sepulchre-without-Newgate in London, and Assistant Director of Music at All Saints’ Church in Hertford. Also, in recognition of his work as the Musical Director of Swavesey Community Choir - a choral society just outside Cambridge – he was recently presented with a 2011 South Cambridgeshire Arts Award. Samuel trained as an organ scholar and music undergraduate at Girton College, Cambridge, and went on to spend over two years as Senior Organ Scholar at Wells Cathedral in Somerset, also taking on roles of accompanist and piano teacher at Wells Cathedral School and Musical Director of a chamber choir. Samuel has also worked as an Assistant Artist Manager at Hazard Chase Ltd in Cambridge, with specific responsibility for groups such as The Tallis Scholars and I Fagiolini, and violinist Matthew Trusler. Over the course of his career so far, Samuel has accompanied and conducted choirs in cathedrals across the country, as well as on CD recordings, and tours to Hong Kong and Japan, the Czech Republic, Switzerland, Germany and France. As an organ recitalist, Samuel has played at Wells, St Paul's and Bristol Cathedrals, Bath Abbey, Christchurch Priory, and Girton and St John's Colleges in Cambridge. Samuel became a Fellow of the Royal College of Organists in January 2008. The Renaissance Singers at Blackburn Cathedral were founded in 1965 by Dr John Bertalot. Originally named the Blackburn Bach Choir, their annual Christmas concerts in King George's Hall, Blackburn attracted capacity audiences. For two years in succession they won the national rounds of the BBC's international competition "Let The Peoples Sing". They were rated as the finest mixed voice choir in the UK. Dr John Bertalot was the Director of Music at Blackburn Cathedral for eighteen years.